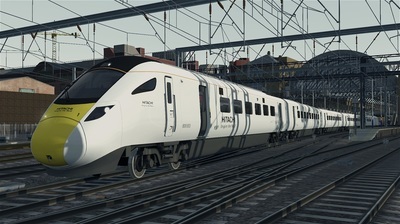 The Class 800 is a train that is part of the DfT's Intercity Express Program that is to replace all InterCity 125 and InterCity 225 from frontline services on both the GWML and ECML. The bi-modal units currently being built as of 2016, with plans for eighty units to be built total. 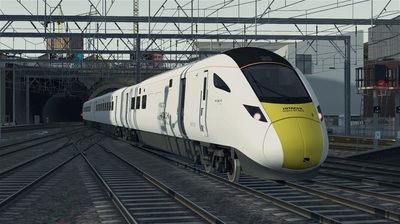 There are also similar Class 801s, which were to be built as electric only. 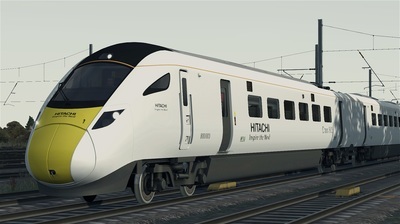 The Class 800 is part of the Hitachi A-Train range, which has a lot to live up to if it wishes the replicate the style and perfection of the InterCity 125, the train that it will be replacing. 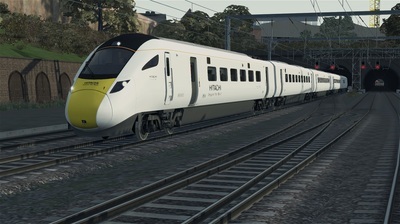 Only time will tell, but general first impressions are that they are rather bad pieces of kit. 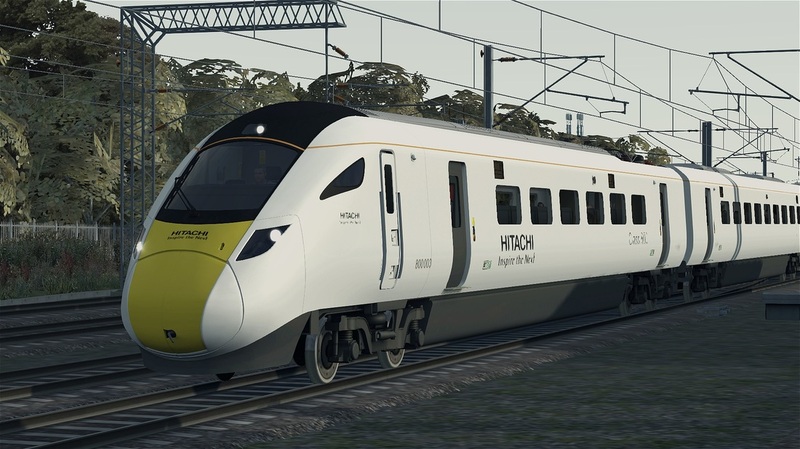 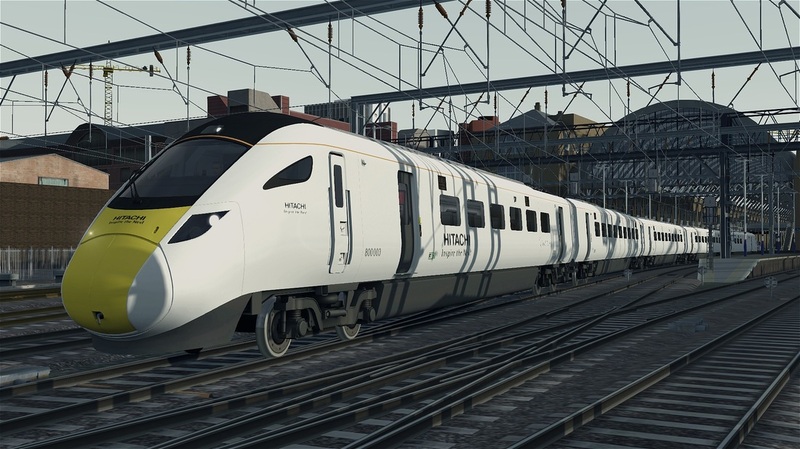 The download includes the Class 800 EDMU in Hitachi White livery, with four quick-drive consists, modified files to allow for diesel operation, and correct numberings. 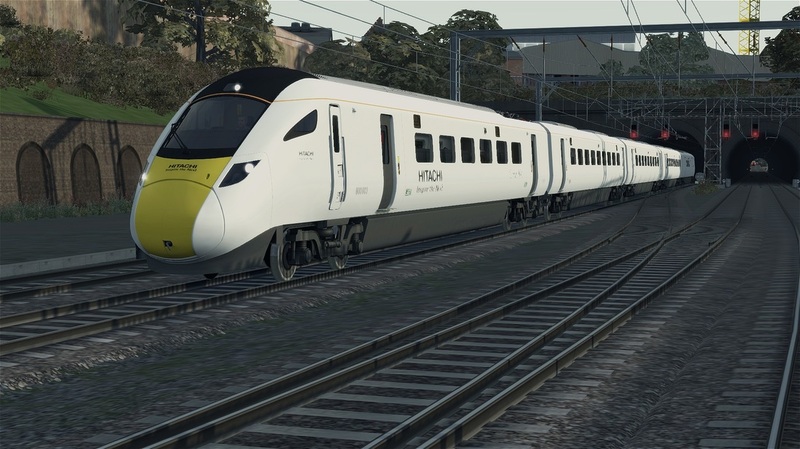 You need the East Coast Mainline South from Steam to use this reskin.